Get a No Obligation, Free Quote - Call Us Now! If you’re looking for a fast and affordable way to remove junk from your home or business, you’ve come to the right place! The efficient and friendly service that Same-Day Rubbish Removal offers has customers coming back – keeping us busy with jobs in the Maroubra area and across Sydney. Instead of you having to spend hours of your precious time collecting and loading your garbage, our experienced team do it all for you. You just have to point out what needs to go and our friendly team will hand load it into our truck. It couldn’t get any easier for you. 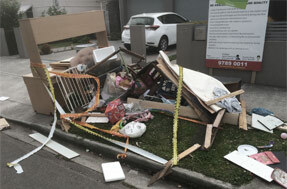 If you’d like your trash gone today, get a free quote now by calling 0402 737 046 – you’ll be impressed by our great rates! After working in the Sydney waste removal industry for over 10 years, we’ve managed to optimize the way we work so that Same-Day Rubbish Removal can proudly claim the top spot for best Sydney junk removal services. Our streamlined process means that we are the fastest service, and the more promptly we complete a job, the less it costs – time is money! Instead of having multiple steps in the removal service, such as delivering a skip bin, having the skip bin loaded, then taking it away at a later date, we do it all in one go. There hasn’t been a job too hard for us yet, so whatever rubbish problem you may have, we’re ready to solve it. Common jobs include old or broken furniture, white good, and other large items from homes, as well as large amounts of garbage or e-waste from businesses/offices. If your Maroubra residence has a junk problem that you’ve put in the ‘too hard’ basket, Same-Day Rubbish Removal can have it out of there in no time. Maroubra is a large area with a great number of residents and there is plenty of waste removal jobs coming up there all the time. The demand for our great service has spread right across Sydney and we’ve been able to work out ways to accommodate and give the same quality service to all. 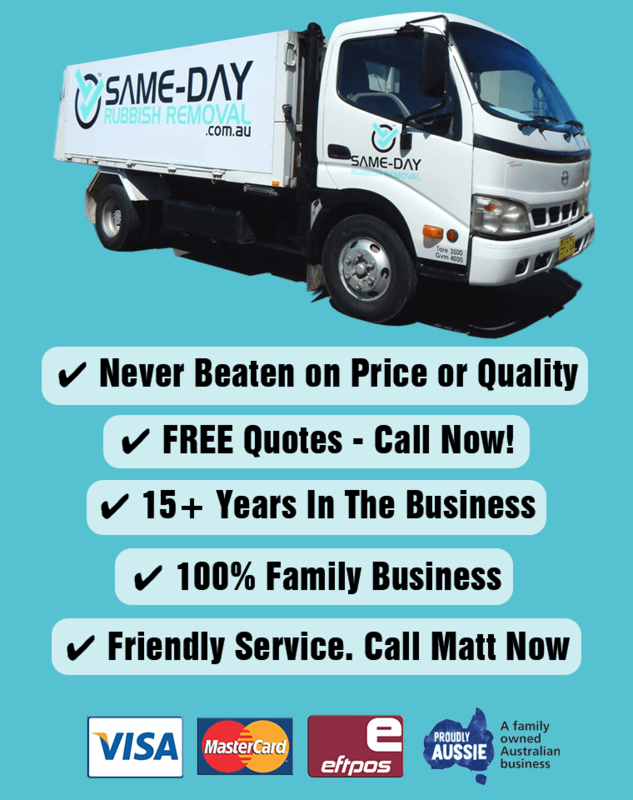 Whether you live down South in the Sutherland Shire, or up on the Northern Beaches, Same-Day Rubbish Removal has you covered. We often find ourselves cleaning out offices in the CBD and houses right out to the Eastern Suburbs areas like Bondi Junction. If you’re located in any of these areas, we’ve got the service you’re looking for. 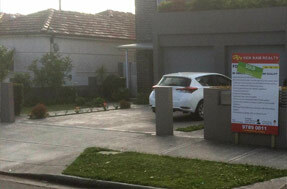 Call us now on 0402 737 064 so you can stop worrying about your waste!